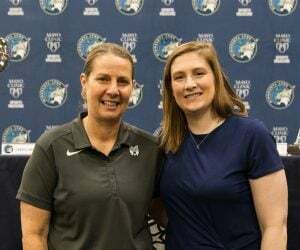 The Minnesota Lynx came into Sunday’s game against the San Antonio Stars as the only undefeated team in the WNBA. After Sunday’s game at Xcel Energy Center, it remained that way. Minnesota stepped on the gas in the second and third quarters, outscoring San Antonio 44-17 during that span, to cruise to a 80-66 victory in St. Paul. 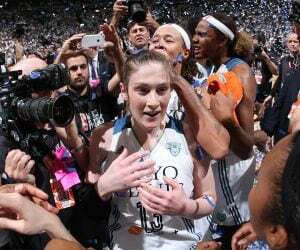 Sylvia Fowles had a double-double of 14 points, 12 rebounds and three blocks on the night to lead the Lynx. 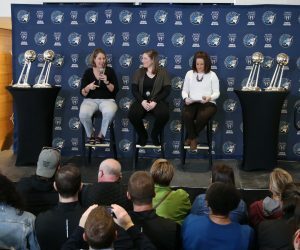 Maya Moore had 13 points and three rebounds, Rebekkah Brunson had 13 points, Seimone Augustus had 12 points and four assists, Natasha Howard had 10 points, Lindsay Whalen had 10 assists and Renee Montgomery added four points and seven assists off the bench. Kayla McBride led the way for San Antonio, finishing with 18 points and four assists. Kayla Alexander had 14 points and five rebounds, Isabelle Harrison had 11 points and four rebounds and Monique Curie had 10 points and nine rebounds. 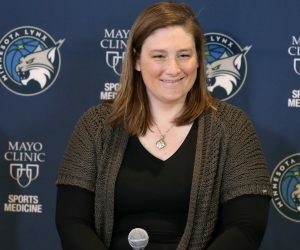 With the win, the Lynx improve to 6-0 on the season and extended their winning streak in the month of May to 23 straight games. With the loss, the Stars drop to 0-5 overall. With 2:04 left in the second quarter, Fowles helped anchor the defense with a huge block on San Antonio’s Nia Coffey. 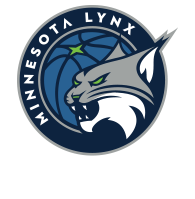 Fowles and the Lynx went on to outscore the Stars 18-9 in the second quarter to take a 40-35 lead into halftime. The Lynx assisted on 28 of their 33 baskets in the game. The Stars finished with 22 assists. Minnesota shot 44.6 percent from the field, while San Antonio shot 47.3 percent. The Lynx outscored the Stars 38-22 in points in the paint. Fowles recorded her fourth double-double in six games this season and finished shooting 6-of-8 from the field and 2-of-2 from the free throw line. Next up for Minnesota is a matchup against the Seattle Storm at 8 p.m. Saturday in Seattle. The game will be aired on 106.1 BOB FM.